Millions of displaced Syrians and refugees fear losing their hope of returning to their cities and towns, where they fled and left their property in the areas controlled by the regime after the entry into force of Law No. 10 signed by Bashar al-Assad earlier this month. The law ruled that Syrian citizens should show their property titles before May 10, before embarking on the creation of new administrative regulations within the scheme of ownership of properties, whose owners will not submit property documents before the said date. Under the law of 2 April, the six million Syrians who fled their homes to escape the “massacre” committed by the Syrian regime forces, plus seven million displaced persons to other areas of the war-torn country. They can even register their property until May 10, or they will lose their homes forever, and the remaining pieces will be sold in the auction in accordance with the law known as Law No 10. Investors associated with the Syrian regime from the Alawite sect of Bashar al-Assad are expected to make huge profits. The European Commission issued a statement last Friday condemning the law and warned against its application, saying it was an “unreasonable” attempt to change the real estate in Syria in favor of the regime and its supporters and obstructing the return of a large number of Syrian refugees and displaced people to their cities and villages. At a recent conference in Brussels, donors, mostly from European countries and the Gulf states, pledged $ 4.4 billion in humanitarian aid to Syrian refugees in Syria and refugees in neighboring countries such as Turkey, Jordan and Lebanon, home to most Syrians who fled across the border to escape violent fighting. The collective pledges fall short of the $ 7 billion that UN officials say is necessary to help the Syrians. As refugees are more likely to fear return or have nothing to return to because of the new law, the international community is likely to need more funding to secure millions of Syrians in the foreseeable future. Only a small part of the refugees and displaced persons will receive the necessary documents, and many Syrian land registers have been destroyed, often deliberately to help empty the population of Sunni areas and to put in place operations for the population. Over the past year, many Syrians have been debating whether they can risk returning home. They sought safety in neighboring countries and Europe, either to maintain resistance against Assad or to escape air strikes and explosive barrels, as well as fighting in their war-torn country. With the balance of power on the battlefield in favor of the Assad regime and its Iranian and Russian allies, they wonder what the future holds for them. Opposition fighters, activists and politicians say they can only imagine a dark future for their return to Syria, pointing out that they and their families face the prospect of long-term, perhaps permanent exile, because they will never be able to return to their homes while Assad remains in power. Syrian NGOs and aid workers also say they have no future. In my case as an independent journalist opposed to Assad’s regime, if Assad remains in power, he will throw me in prison for the rest of my life or become another name on the international regulations for victims and enforced disappearances. Regardless of the dangers, many in the Syrian opposition say they can not think of living in a country ruled by Assad for moral reasons, a conviction that only deepened over time during a conflict that saw the bombing of cities and towns seized by the opposition in accordance with the policy of scorched earth and the use of chemical weapons. How can I live in a country ruled by Bashar Assad? He is responsible for the destruction of more than half of Aleppo, killing half a million Syrians and forcing millions of others to flee the country or leave their homes. However, other Syrians not associated with political or military activity began to return, but in small numbers, they were forced to return because of harsh conditions in neighboring countries, according to non-governmental organizations working with refugees. These organizations attributed the reasons for the return to unsafe and precarious living conditions, which is not evidence of an improvement in the situation in Syria. Pressure is mounting on the Syrians to come back against the backdrop of increasing rhetoric and anti-refugee policies, as governments openly consider returning Syrian refugees to their country. Non-governmental organizations, including the Danish Refugee Council and the Save the Children Organization, warned in a February report that “the prevailing pressure on the return of Syrian refugees in neighboring countries undermines their safety and dignity. Which creates coercive factors and increases the likelihood of forced return in 2018. It also threatens to limit options for making life outside the region through resettlement or other secure and legal methods. The governments of neighboring countries had planned, or at least hoped, the Syrian war crisis and the Syrian refugees that most of the refugees would return to their homes, and the Turks have only begun in the past 18 months to draw up plans for what to do with more than three million Syrians in Turkey. In Lebanon, Prime Minister Saad Hariri promised that there would be no forced return of Syrian refugees, but there was growing political pressure to do so from the rest of the political spectrum in Lebanon. 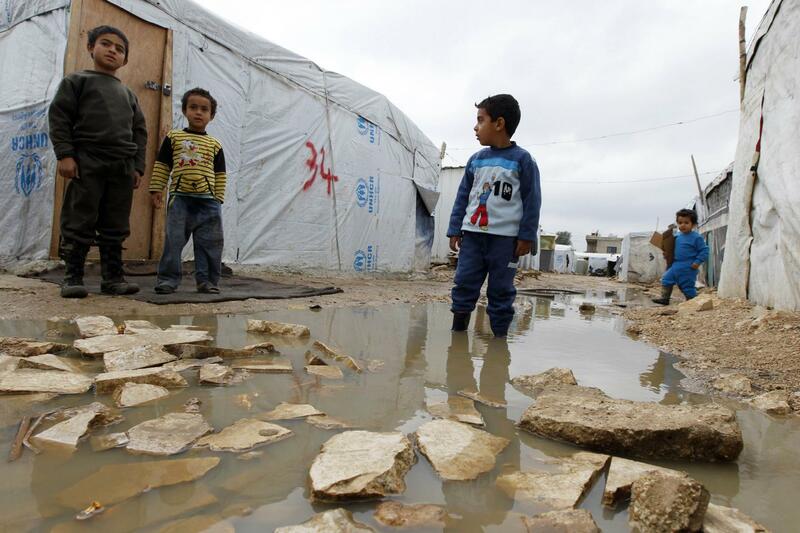 Syrian refugees have become a key issue in the current election campaign in Lebanon. Christian and Shiite politicians, including Lebanese Foreign Minister Gebran Bassil, say it is time to return all Syrian refugees to their homes. UN officials warn that Syrian refugees face increasing harassment and mistreatment in an effort to press them to return home. 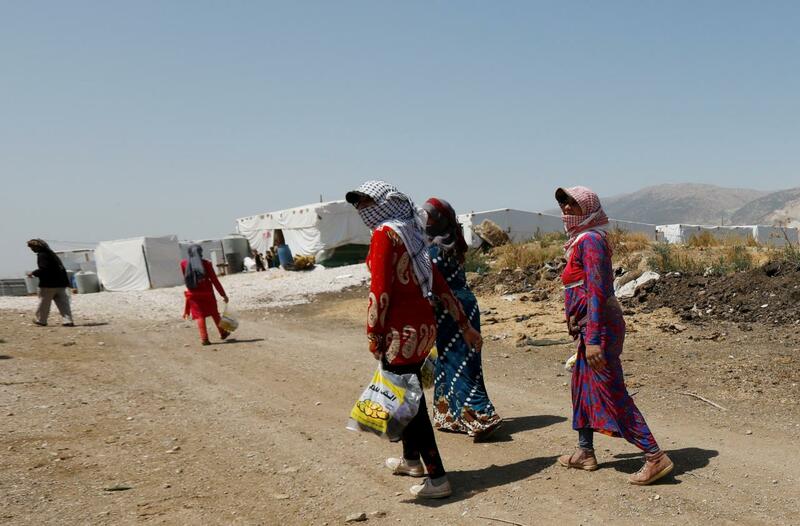 According to the United Nations refugee agency, 1,300 Syrian families were evacuated from camps in the Bekaa Valley last year, where most of the evictions were carried out by Lebanese military intelligence. Opinion is divided as to whether most Syrian refugees will return or try to stay in Turkey, Lebanon, Jordan, Egypt, Iraq, or in countries beyond that. Syrian activists expect that “ordinary” Syrians in Europe or the United States will not return, but those living in camps and refugees in countries around Syria will be more willing to return because of the lack of options available to them if the bombing and air raids by regime forces and their allies. If the homes and property of those Syrians living in refugee and refugee camps are confiscated, the main return factor will be eliminated and will not return unless host countries begin forcibly deporting them. According to a study released last week by the Carnegie Middle East Center, “in the face of increasing social and economic difficulties, Syrian refugees feel trapped between the host countries they do not want and Syria can not return to”. ← Return of assassinations to Idlib: a new stage ?